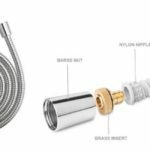 A removable shower head is a good option if you are looking for a way to enjoy a more flexible and relaxing shower, and to take advantage of things like easy cleaning around the bath, and easier work with hair dyes, etc. Removable shower heads will unclip from the wall, and have a flexible hose. You can rinse off your legs after shaving, use the shower head on your hair, or use it to rinse shampoo out of your baby’s hair. You can run it around the side of the bath to rinse away soap lines, or clip it to the wall and use it as a standard shower head for a regular shower. 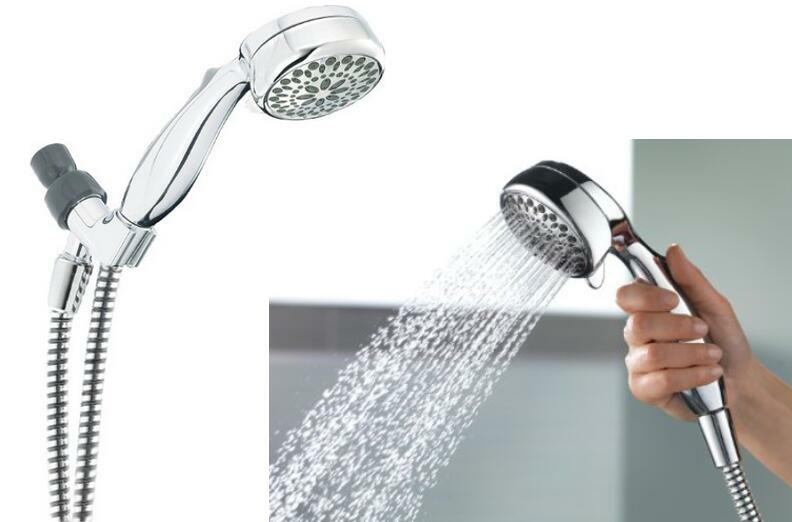 1.1 Why Buy A Handheld Shower Head Can Remove? 2 How To Select The Right Handheld Shower Head? These shower heads are versatile, convenient, and usually pretty affordable too. A lot of people prefer them to standard heads. Sometimes, you can get them with a slide bar or an extension arm, so that you can position them in exactly the right place on the wall when you’re showering, then move them when you need to for more ‘targeted’ work. These shower heads are small and they usually have a nice convenient grip so that you can hold them and angle them perfectly for whatever you need to spray. It can sometimes be tricky to get them pointing the right way when they’re on the wall, depending on how thick and strong the hose is, but modern versions tend to have lighter and more flexible hoses than some of the cheaper ones that just attached to your standard bathroom tap. If you’re in the market for a new shower, definitely take a look at removable shower heads. You’ll be amazed at how often you find yourself taking advantage of the feature, even if you’d never thought you’d wanted it before. 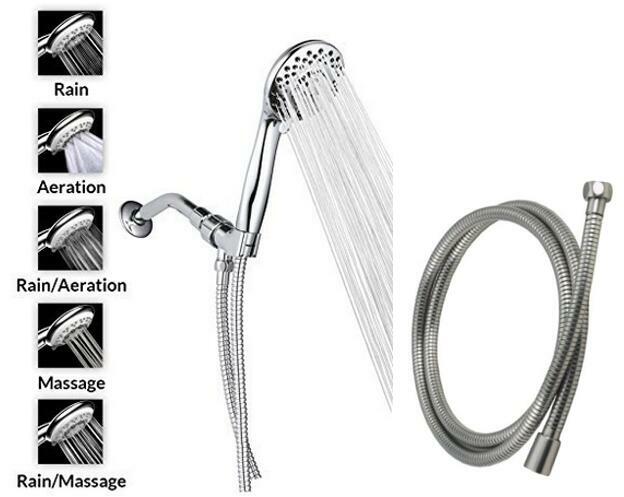 We get 3 models best rated removable shower heads with different functions and features for you reference: the Hydroluxe 24 function 3 way 2-in-1 shower combo and a Delta Faucet 75700 7-setting universal handshower, both models get more than 1500 sales on amazon. And Aqua Elegante spa-like large 4″ shower head with top reviews most people like buy. You can choose one fit you need best. As mentioned, the primary advantage to using this type of shower head is its flexibility. You can direct the water to the exact area you need to wash. There’s no need to twist and turn inside the shower room. This proves particularly advantageous to the elderly and people with mobility issues. Fewer movements mean keeping slips and falls to a minimum. A handheld shower head is also the perfect choice for bathing small children. 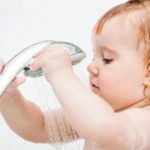 Since you can bring the shower head close the child’s body, you can use lower water pressure. This is important as you don’t want to irritate the skin of your little one. On a similar note, this is beneficial for people with sensitive skin. It’s also possible to place this type of shower head in a wall mount. This way, it functions as a fixed shower head. If some people in your household prefer a wall-mounted shower, then this is the best solution for you. You get the best of both worlds, satisfying the needs of everyone in your home. 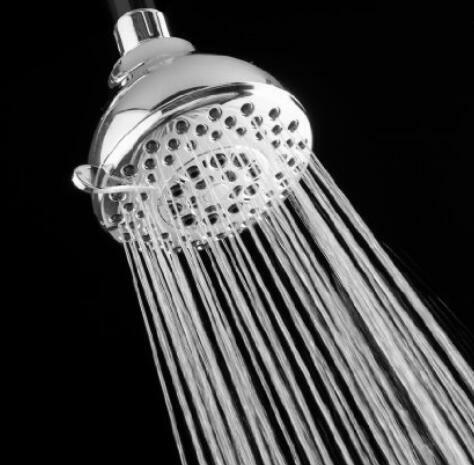 These are just some of the top reasons why many people use a handheld shower head. Be sure to compare multiple models and take a look at their quality, style and finish. 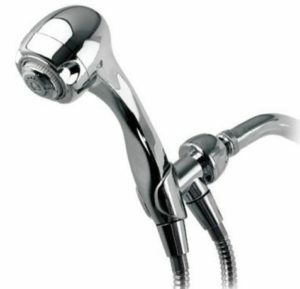 Take into consideration the unique needs of your family in order to select the right handheld shower head for you. Showering is a very personal experience. Each of us prefers it in a specific way. 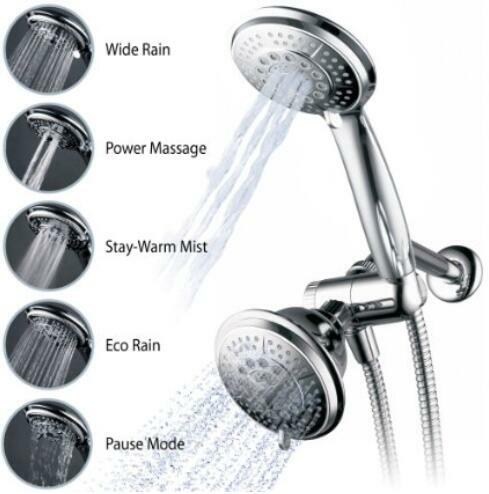 Some enjoy the rain fall effect, while others can’t live without a handheld shower head. Both methods have their advantages and drawbacks, so it’s hard to say one is better than the other. As they say, “beauty is in the eye of the beholder”, so we all have our personal take on this issue. The other advantage of a handheld shower head is that it can be effective even when the water pressure is not the best ever. You can hold it closer to your body, thus being able to rinse your skin thoroughly. A fixed head is going to cause you a lot of frustration, should the water pressure be lower than usually. On the contrary, a handheld one is going to allow you to direct it toward the areas to be cleaned. Moreover, in case of adjustable heads, a simple rotation of the perforated disc is going to lead to an increase in the water pressure. When water has to come out through fewer nozzles, its pressure is going to be bigger. This is a feature only handheld shower heads can offer, hence their popularity among so many categories of people. Everybody wants to feel the water flowing freely on their body. Moreover, some people enjoy having a massage while taking their shower. Thanks to special shower heads featuring pulsating jets, such massage options are available at relatively reasonable prices. All those who enjoy wearing their hair long prefer handheld shower heads to ceiling or wall attached ones. The reason is very easy to understand; they need to be able to rinse their hair properly, in order to prevent accumulations of shampoo residues that might lead to the formation of dandruff. These people need to be able to pass the shower head through their hair, as this is the best method to clean and rinse it properly. They may also want to massage their scalp while washing their hair. 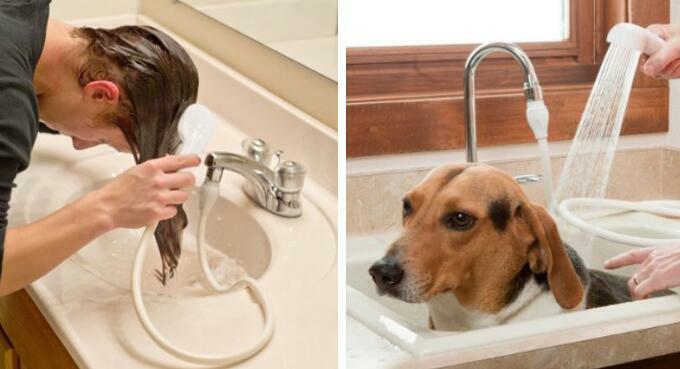 This is impossible if the shower head can’t be positioned very close to the scalp. 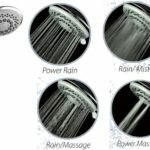 People who want to have the best of both worlds can go ahead and choose a dual shower head which can be handheld when required, or attached to a hook on the wall, should the individual wish to have a rain fall effect. By choosing this solution, you can enjoy the flexibility of directing the water stream wherever you want, but also hang the shower on the wall whenever you need to use both your hands to apply soap on your body or to shave yourself under the water. 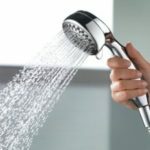 Why Buy A Handheld Shower Head Can Remove? First, let‘s discuss the reasons why you should get a handheld shower head over other types. Flexibility is the primary advantage of using a handheld shower. Since it detaches from a clip mount, you can easily grab the shower head and direct the flow of water exactly where you need it. This ultimately leads to a more convenient time in the shower as it eliminates the need to turn around, lift your arms and do all sorts of movements just to hit the spots that need to be washed. It‘s also important to note that a handheld shower head can double as a wall-mounted shower. You can rest the showerhead on the clip mount any time you want. You can view it as having two shower heads in one. This is beneficial especially if some of your family members prefer using one type over the other. Having the option to go handheld or wall-mounted can satisfy the needs of all members of your household. 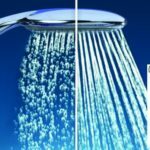 How To Select The Right Handheld Shower Head? Are you on the market for a new handheld shower head? Then you have plenty of factors to take into consideration. While handheld shower heads from different manufacturers may appear to have the same specifications, you need to take a closer look at each model in order to make sure you‘ree choosing the right one for your needs. There may be subtle differences that can prove to have a huge impact on how you use the shower. Keep reading to learn some useful tips on how to choose the right handheld shower head. The first thing to look at when buying a handheld shower head is the size of the head and the length of the hose. Make sure that the head isn‘t too big that it‘s uncomfortable to hold. You also don‘t want a head that‘s too small as you might not get enough water flow for your needs. Most models have a decent hose length, but it pays to double check and consider whether you need a longer hose. Take a look at the current setup of your shower and see whether the handheld shower will fit perfectly. You can confirm this by carefully reading the product information. If it doesn‘t fit, then it‘s best to buy new mountings to ensure that the new shower head will have the right fit. You can compare the difference from fixed mounting shower with handheld adjuastable shower to get more tips before you make the choice. 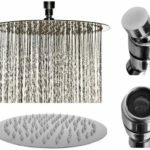 ← How To Buy Top Universal Replacement Shower Head?